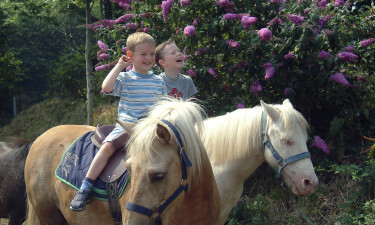 Ideally situated in the heart of the Bénodet, Le Port de Plaisance offers a perfect camping holiday for families and couples alike. Just moments from a charming coastal centre, campers will relish in the extensive services and facilities on offer, from swimming pools through sports activities and children’s clubs. Bookable now with LuxCamp. 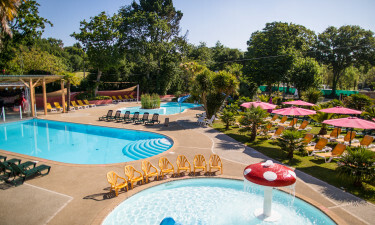 We know Camping Le Port de Plaisance Le Port de Plaisance offers a luxury camping experience with plenty of attractions and facilities to choose from. The whole family will delight in the beautifully landscaped camping grounds with stunning forests and guided paths, whilst spas, fitness rooms, playgrounds and swimming complexes will keep the family busy building their precious holiday memories. Why choose Le Port de Plaisance? Why choose Le Port de Plaisance? There are many reasons to choose this fantastic mobile home site, including: An impressive aquatic centre. Children's clubs and activities including inflatable games. A multi-sports ground for both tournaments and fun play. Cycle rental to enjoy the beautiful surroundings. 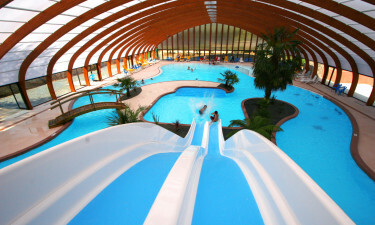 It's all about swimming here, with an impressive 1,000m² aqua-dome complete with peaceful lagoon, thrilling water slides, whirlpools and paddling zones for little ones. Three heated outdoor pools offer plenty of space for all to enjoy. Bénodet marina is just 1km from site, offering beaches accessible via foot or car. These sandy beaches are perfect for paddling and watching the active yachts and sailboats in the beautiful bay.